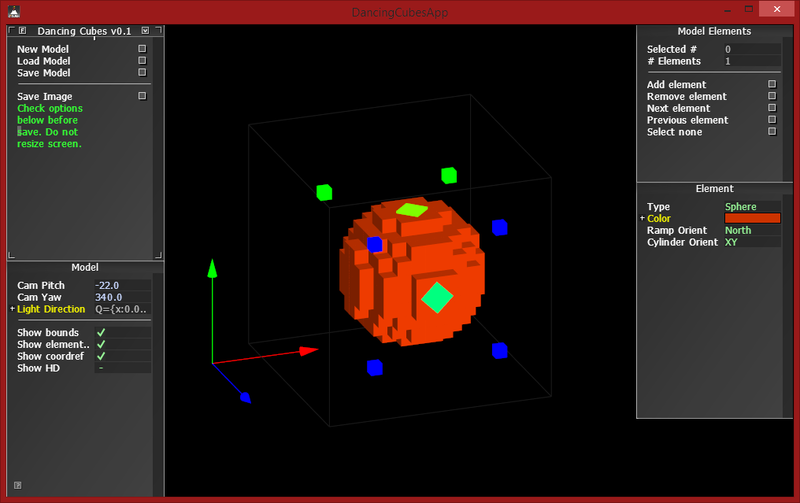 Dancing Cubes is a simple tool for making 2.5D tiles through voxel art. You can achieve nice-looking models using basic building blocks. This software currently has a lot of rough edges, but the basic funcionality is there. If you have any suggestions, please contact me. Download the .RAR compressed file, uncompress it anywhere, and run the .EXE file inside.